What's The Deal With Bob Costas's Eye? 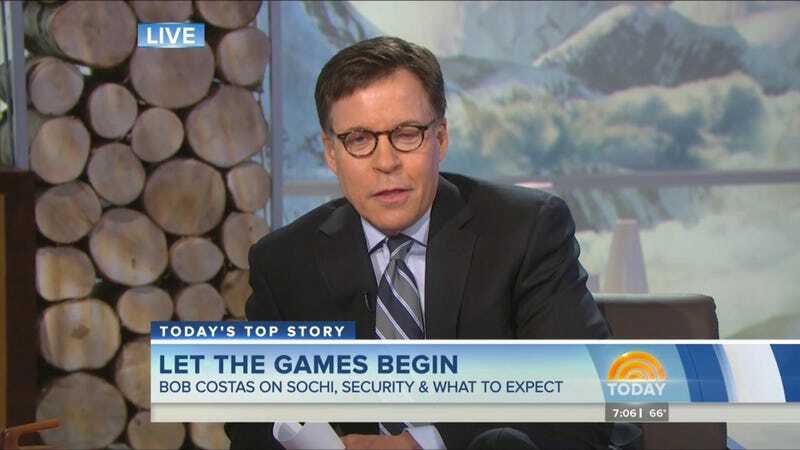 This morning, a reader wrote in to alert us to Bob Costas's appearance on this morning's episode of the Today Show. The reader wanted to know what the hell was going on with Costas's left eye, which appeared to be all kinds of messed up. So we reached out to Costas, looking for an answer. Yes, Bob has some sort of infection which has his left eye completely red and almost completely closed, making it impossible to put a contact lens in it. It just came on within the last 24 hours, the NBC doctors in Sochi are treating it, and they think it should resolve itself by the weekend. Until then, he has no choice but to go with the glasses on air. 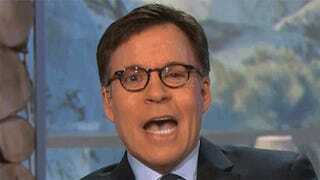 So that's what's going on with Bob Costas's fucked up eye.